The formation of Hay’at Tahrir al-Sham (‘Liberation of al-Sham Commission’- HTS) has understandably provoked fear of a total jihadist/al-Qa’ida takeover of Syria’s rebel-held northwest, centred around Idlib province. HTS was announced on 28 January amid wider rebel infighting in Idlib that saw multiple groups merge under Ahrar al-Sham in a bid to protect themselves from Jabhat Fatah al-Sham (JFS), the rebranded Jabhat al-Nusra that had ostensibly dropped links to al-Qa’ida in July 2016. The largest single component of HTS is undoubtedly JFS, whose leader Abu Muhammad al-Jowlani was recently confirmed in a video release to be the overall military commander of HTS, even as the overall leader Hashim al-Sheikh was originally in Ahrar al-Sham and had been pushing for his group to merge with JFS. The area of Jabal al-Summaq in north Idlib province is a notable case-in-point. Of Druze origin, the area’s original inhabitants have been forced to renounce their faith and convert to Sunni Islam twice. The first time was under pressure from what was then the Islamic State in Iraq and al-Sham as it expanded its influence across northwest Syria through 2013. The second time was under Jabhat al-Nusra, which gained control over the area in late 2014 after the expulsion of the Syrian Revolutionaries Front from Idlib province. Jabhat al-Nusra and its successors have remained in control of the area since that time. The existence of a services wing established under Jabhat al-Nusra has long been known: the General Administration for Services (al-Idarat al-Aama lil-Khidimat). However, its presence and functioning have not always correlated with the existence of strongholds under Jabhat al-Nusra and its successors. 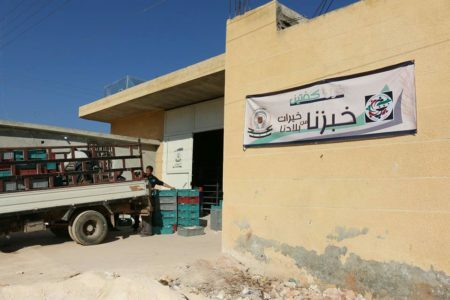 In some areas, such as Khan Sheikhoun in south Idlib province but coming under the Hama division of the General Administration for Services, we find that this services department for what is now HTS has been competing alongside the local council. Local councils- which are supposed to be civilian bodies embodying local governance in ‘liberated’ areas-are considered to be among the main pillars of civil society in insurgent-held territory. In the case of Khan Sheikhoun, the local council is affiliated with the Idlib provincial council, which is in turn backed by the opposition-in-exile/the interim government. In Jabal al-Summaq, despite the dominance of Jabhat al-Nusra and its successors since the end of 2014, there has not until now been a functioning branch for the General Administration for Services. Instead, services have been managed by local councils that share the same chain of affiliation and support as that of the Khan Sheikhoun local council. For example, in the village of Kaftin, one of the larger villages of Jabal al-Summaq in which a substantial proportion if not the majority of the original inhabitants has remained (also true for Ma’arat al-Ikhwan, whereas other villages like Duwair are completely depopulated of their original inhabitants). Displacement has occurred for a variety of reasons: some prefer to work in regime-held areas, others did not want to live under forced conversion to Sunni Islam, a combination of these factors etc. Perhaps the most notable service the local council in Kaftin has undertaken is management of an oven that makes and distributed bread for locals. 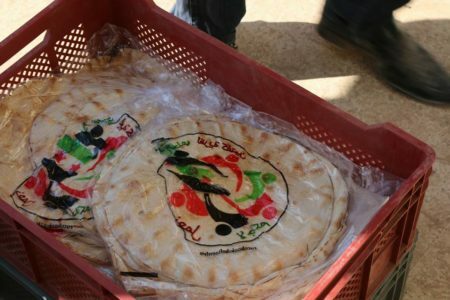 According to a post by the Idlib provincial council in December 2016, this oven in Kaftin serves around 5000 families, translating to approximately 25,000 individuals, in three localities. Based on other information, the other two localities besides Kaftin are Birat Kaftin and Ma’arat al-Ikhwan (both villages also in Jabal al-Summaq, the former having seen more displacement of its original inhabitants than the latter). This oven was opened in November 2016 and the Kaftin local council had announced a recruitment campaign for personnel to operate the oven at the time. The local council in Kaftin also plays a role in education for the youth. Kaftin has four schools, but they teach according to the education programs of the regime. These programs are considered better than those offered by the opposition, and so people from neighbouring villages have sought to have their youth study in the schools of Kaftin. That said, there are regulations in place regarding certain subjects, notably the removal of nationalist ideology, modification to the teaching of history and removal of art subjects (i.e. art and music). There is of course also religious education in line with HTS’ rules (i.e. only teaching Sunni Islam). One should compare with regulations put in place in late 2014 by the Dar al-Qada– the judicial branch for what was then Jabhat al-Nusra- in the Idlib locality of Darkush, a stronghold for the group. Some specifications on education were also noted on the second imposition of Sunni Islam on the original inhabitants of Jabal al-Summaq, requiring Islamic teaching for the youth in designated places of prayer- which amounts to standard da’wa practice- and a prohibition on gender mixing in schools. “In the province of Idlib and the north of Aleppo, whereby HTS control has arisen without contests and the rest of the factions and formations have gone into seclusion, or even many of their members handed over their weapons to Jabhat Fatah al-Sham or joined it, the commission [HTS] is currently forming a civil administration in the name of the General Services Administration, and is directing for the previous administration represented in the local councils to become affiliated with this General Administration. 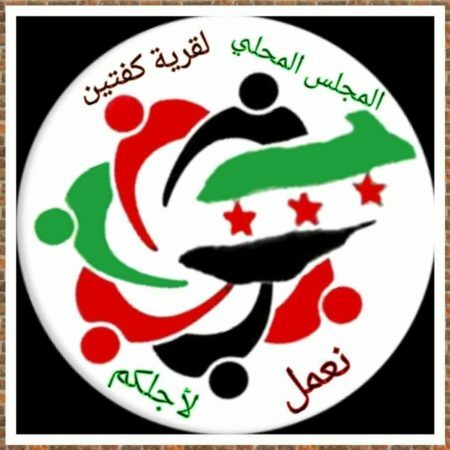 The cadres of Fatah al-Sham say that the council that will not accept this affiliation to it will be dissolved and a replacement will be formed for it. But the problem is also with the cadres of the councils who fear the commission’s [HTS’] revenge if the cadre rejects working with it. The second problem concerns the possessions of the councils that will be automatically transferred to the new councils affiliated with the General Administration. The third is that this will annul the work of the provincial council and the interim government. The fourth and most important is that the commission is classified worldwide with terrorism legally speaking since Fatah al-Sham forms its main body, and so also the countries and organizations will reject working with it and we will be turned to a form of siege even if there are no bombing and destruction of the installations that these countries and organizations had previously offered to the local councils. In short, these developments reflect how the declaration of HTS represents an ever bolder assertion of jihadist influence and power, not only in terms of relations with the more ‘mainstream’ insurgency but also wider civil society. The options for these non-jihadist actors in Idlib province in particular in the face of HTS’ ascendancy seem ever more constrained. Undoubtedly, a significant reason for this quagmire is that the growth of HTS’ main predecessors in the northwest and Syria more generally was allowed to fester for too long. Now the broader insurgency and opposition must live with the consequences of that. The last paragraph, leaves one to ask. just how in sanity’s mindset, can this ever be resolved? From reading all the different views that have been written, there will never be a solution to the displacement, violence, destruction, until one faction takes over. Then it’s back to square one, all over again. Perhaps, if those who finance the proxies stop doing so, eventually things will sort themselves out, but short of restoring a dictator/strongman leadership, there wont be the solution, everyone preaches they want. Assad gave birth to ISIS by sending money, weapons and jihadists from Saidnaya Prison to Raqqa by May 2013. Assad bombed FSA but never bombed ISIS. Russia bombed FSA but never bombed ISIS. US attacked ISIS via kurdish mercenaries. Turkey never bombed ISIS until recently. US under Obama killed all FSA and rebel leaders they could kill using insider information. Assad/Russia/Iran gave Palmyra to ISIS, without shooting a bullet. Later ISIS gave it to Assad without fighting. Later again Assad took it from ISIS and gave it back to ISIS without fight. Now Rusia, Iran, Assad took Palmyra again. Assad/Iran have been feeding the war and letting pockets survive in order to erase FSA and rebels and provoke a massive exodus of syrians – mostly sunna – from Syria. By helping grow ISIS and fighting all other rebels all of Russia, Iran and Assad aim to destroy any aceptable choice to Assad and provoke at the same time a lasting state of war that creates the biggest exodus after WWII. This is ethnic cleanse and it was planned even before the so-called revolution started. All of US, RUSSIA, ASSAD, IRAN and ISRAEl share the Project. GB and France lost their influence as post-colonial powers and sunni syrians (75 % before genocide) will be reduced to an insignificant minority. no one discuss the UN reports stating that the ‘rebels’ in Aleppo were keeping civilians as human shields and stealing the humanitarian help? it starts on §§64 of the report where the tactics used in Aleppo are detailed and all the blame put as usual on the Syrian and Russian army. Doesn’t seem that the guys trying to get rid of ISIS in Mosul are doing any better, rather much worse from the testimonies we find.